Oh, how I believe that when I see how some of the Patrol cookware is cleaned (or not). Carved in maple with toothpick legs. 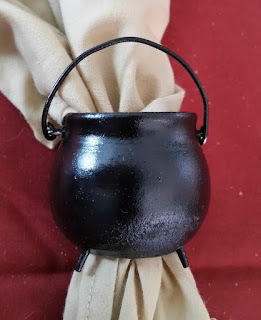 The handle and pot rings are made from some stiff wire and the whole think is painted with black semi gloss spray paint.